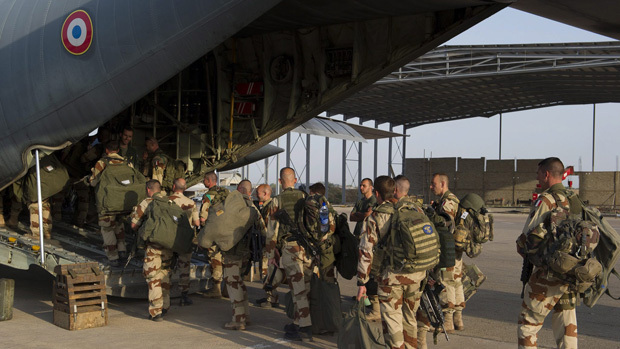 France opened 2013 with a series of airstrikes on Northern Mali to prevent “the establishment of a terrorist state”. At the time of writing, 11 civilians (including two children) have been killed, and according to the UN, an estimated 30,000 have been displaced. The morbid irony of the France’s leaders bombing people in order to prevent a “terrorist state” appears to be lost on them, but this may be due to their eyes being on something far more important – Mali’s economy. Like its neighbour, Niger, Mali is rich in a number of resources, including uranium. Following the ‘oil shock’ of 1973 in which the oil producing nations sharply increased the price of oil, the French decided an alternative route was needed. This alternative was nuclear energy, and over the 15 years following the shock, France built 56 nuclear reactors, more than any other country in the world. France now has 59 nuclear reactors, generating nearly 80% of its electricity, making it the world’s largest net electricity exporter. In 1999, the French parliament confirmed three objectives in relation to this newly found wealth, the first: security of supply. This ‘security’ has been challenged by labour unions and social movements across the region, such as Almoustapha Alhacen of Aghirin, who found that the local drinking water had been contaminated with alpha and beta radioactivity levels which did not meet EU or World Health Organisation standards. Demonstrations in Niger against uranium mining company AREVA, which also operates in Mali, became so popular that AREVA president Mme Anne Lauvergeon had to fly over in an effort to reassure the population. Inspired by this, Malian citizens set up community organisations in mining areas, such as Falea, protesting environmental degradation and the outflow of resources to foreign beneficiaries. Although Niger has been France’s primary uranium trading partner in the region, investors are currently estimating 5,200 tonnes of untapped uranium sources in Mali, making the requirements of a favourable government and a suppressed civil society all the more urgent. A section of the Northern Mali population is Tuareg. The Tuareg, like other colonised nations, are split across the artificial borders constructed by the French, specifically where Northern Mali meets Niger. Tuareg on both sides of this border have been campaigning and fighting for secular autonomy since independence in the 1960s, and there has been a resurgence following the ethnic cleansing of Tuareg and other sub-Sahara Africans from Libya by the NATO-backed, Al-Qaeda affiliated rebels. In this context, a united Tuareg resistance has the potential to erode power from the central Mali government, and even control areas of land in which the Tuareg live, but the French want to mine. “In 2004, President Tandja attempted to provoke the Tuareg into actions which could be portrayed to the Americans as ‘former rebels turning to terrorism’. He arrested and gaoled Rhissa ag Boula, the former leader of the rebel Front de Libération de l’Azawak et de l’Aïr (FLAA) and its signatory to the 1995 Peace Accord and subsequently a government minister, on a trumped up murder charge. He was released without charge after 13 months, but not until a number of Tuareg had been provoked into taking up arms. That enabled the government to send some 150 of its newly US-trained troops into the Tuareg stronghold of the Aïr Mountains”. From that point on, the governments of both Mali and Niger were able to engage a relatively unwilling Tuareg in combat, which gave rise to the Al-Qaeda affiliates currently controlling cities in Northern Mali. This transition facilitated not only US support, but the subsequent invasion. Unlike Iraq, the interests of France and the US are converging over military policy, with Africom, America’s militarisation of the continent, providing the infrastructure for drones and other aircraft to support the current French-led invasion. David Cameron announced that the British army would be providing its French counterpart with logistical support in the conflict, explaining that such support is “in our interests”. It remains to be established whether he was referring to the war on terror, or the fact that the UK relies hugely on the French state-run energy firm, EDF. Of course, militarised forms of imperialism have negative consequences for the ‘home’ nations too. With Britain and the US on constant terror alert, France is now tightening its domestic security, continuing the process of control over land, people and resources. The echoes of the scramble for Iraq’s resources, and the humanitarian catastrophe which followed are stark. The curbs on civil liberties in the West which the so-called War on Terror forces upon citizens is part of the same struggle that activists in West Africa are fighting against uranium mining corporations. Only by building links of solidarity between our continents can people begin to resist the disastrous intersection of the energy industries and state militarism both at home, and abroad. Wow. I shouldn’t be surprised, of course, but why is this only being reported in a small independent magazine? Our media is a total joke. Strange I can’t see any reference to Mali and its travails until the French turned up. Somehow by a vigorous Google search a case has been built as to how the French are going in to seize undiscovered, unexploited, yet to be opened uranium mines. 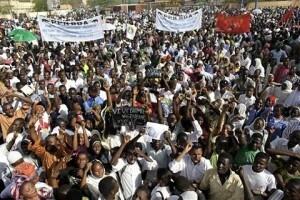 The biggest threat to Nigerien mines is not organised labour but terrorism. There are other uranium mines in Niger being exploited by the Chinese and others. 11 people have been killed since bombing began? How many have been killed in the past year? These 30,000 refugees are from 6 days? The French destroyed tombs in Timbukto, burnt ancient manuscripts and imposed sharia law. My article published on 1/14/2013 under the title “Mali: France’s Neo-Colonial War for Uranium?” must have been part of your “research”…..
you should follow your example. This can’t be for real…nuclear is carbon free!! !